Howdy! 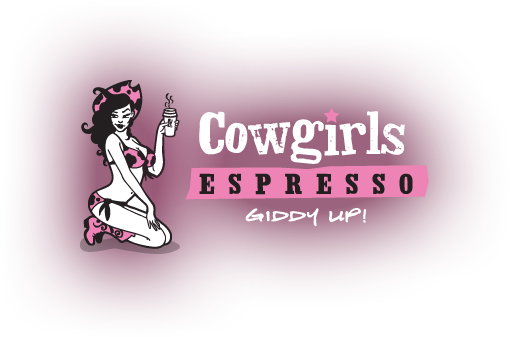 We're the gals of the Original Cowgirls Espresso established in 2002 by Lori Bowden, and we're here everyday to serve you up the finest coffee beverages out here in the Ol' West! With 15 locations in the greater Seattle/Tacoma area, we offer up the very best in Espresso beverages, including lattes, mochas, and our famous 32 ounce Buckin' Bronco. We also serve pastries and treats, made fresh for us each day by our local bakery, and invite you to come by and try our new iced Italian Sodas, a favorite out in these parts during those hot summer months. And most all, we look forward to greeting you with a smile and our friendly service that will get you back out on the trail with a spring in your step!